(MS) As winter wears on, it’s not uncommon for people living in cold weather climates to experience some cabin fever. In addition to contributing to cabin fever, winter weather can have a negative impact on indoor air quality. While air pollution is something most often associated with densely populated cities, the air inside homes is not immune to pollution, especially during long winters when windows are often closed for months at a time. Though open windows in spring and summer can vastly improve indoor air quality, there are ways to ensure that air stays fresh and healthy regardless of the season. 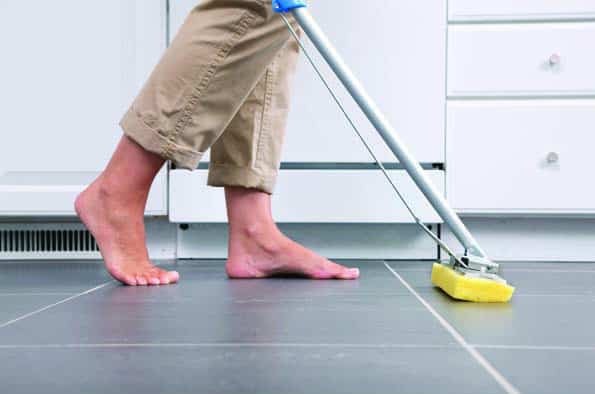 Dirty floors are one of the chief contributors to poor indoor air quality. Dust, dirt, pollen, and pet dander can accumulate on floors, leading to poor air quality and potentially aggravating respiratory conditions such as asthma. When vacuuming, use a vacuum with a HEPA filter, which is a uniquely designed mechanical air filter that traps harmful particles. When you finish vacuuming, mop floors to gather any escaped dust or allergens. Control indoor air moisture. Moist air is great for dust mites and mold, both of which are very bad for humans, so do everything you can to maintain healthy levels of indoor air moisture. Dehumidifiers can reduce indoor air moisture and control allergens, but it’s important to take additional steps as well. When bathing, try to keep a bathroom window open on a slight crack to prevent mold growth. When preparing meals in the kitchen, make use of your exhaust fan. In addition, don’t overwater houseplants, as they can become breeding grounds for mold. Resist synthetic fragrances, such as those found in detergents and air fresheners, as they may be providing that welcoming scent at a heavy cost to a home’s inhabitants. Such fragrances may be emitting various chemicals, including volatile organic compounds, or VOCs, into the air, affecting indoor air quality and possibly even human health. When buying laundry products, look for those that are fragrance-free, also choosing home cleaning products that do not include any artificial fragrances. Homeowners can take simple yet effective steps to ensure the air in their homes is healthy all year long.